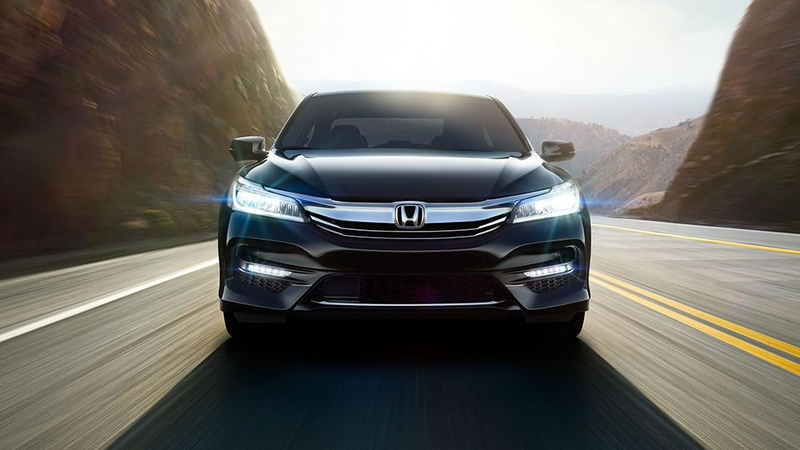 With so many vehicles on the road, the fact that Honda makes some of the top sedans in Mid-Mo is no small feat. But drivers, car-lovers, and even passengers all have made sedans like the Honda Civic and the Honda Accord some of the most popular sedans on the road. And with 12 trim levels between them, there is a Honda model and trim that is just right for every driver—with the features, qualities, and equipment that fits your driving style, your lifestyle needs, and your budget. 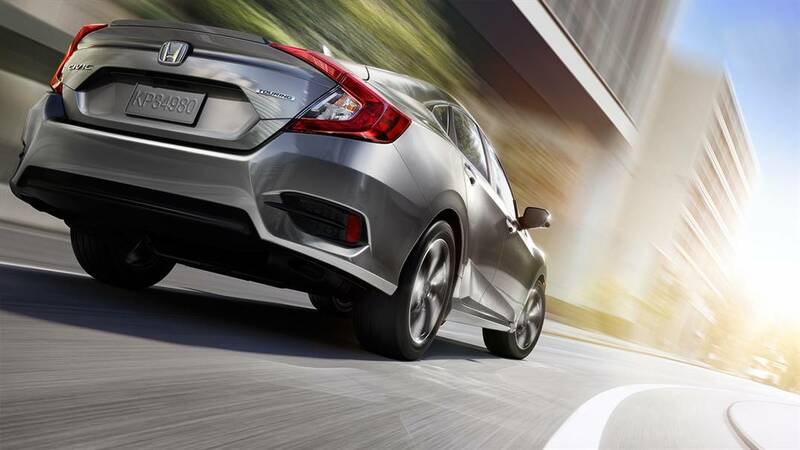 Tried-and-true, the 2016 Honda Civic Sedan is as beloved as ever by drivers who appreciate great value, impressive fuel efficiency, and the utmost dependability. 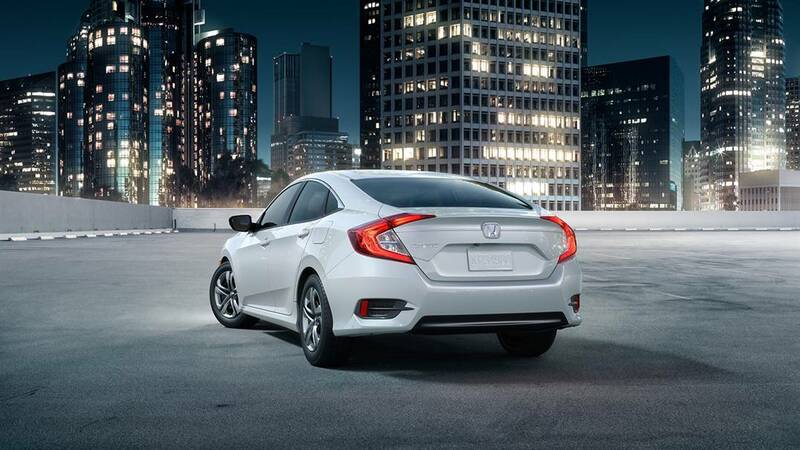 A five-passenger sedan with a reputation for longevity, the Honda Civic Sedan is hard to beat on the road. 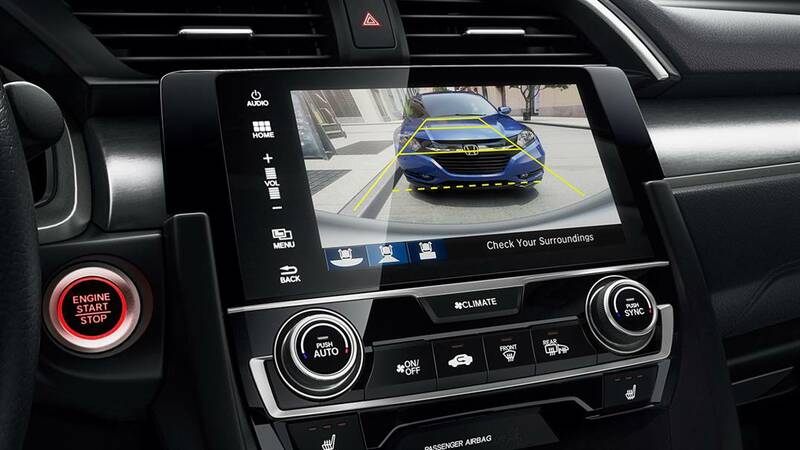 To show what we mean, let’s take a look under the hood and inside the cabin of the 2016 Honda Civic and see what makes it one of the best sedans in Mid-Missouri. 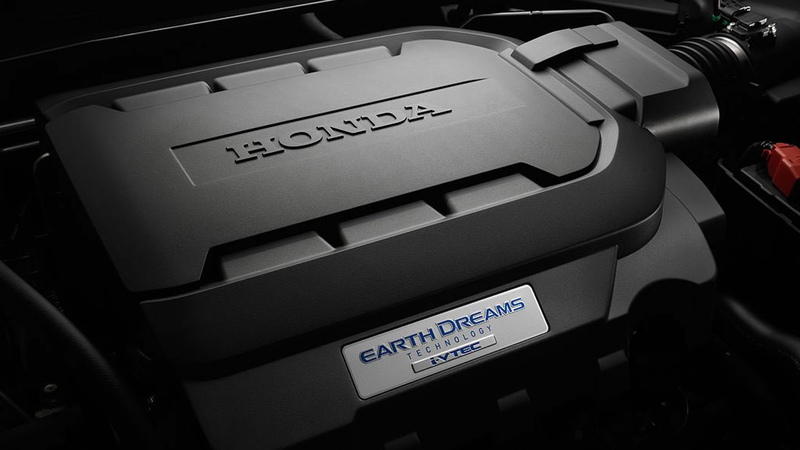 Powertrain – The first two trim levels of the Honda Civic sedan, the LX and EX, are powered by 2.0L 4-cylinder engine. With that under the hood, you’ll get up to 158 hp and 138 lb-ft of torque. The LX comes paired with either a 6-speed manual transmission or a continuously variable transmission, while the EX comes with a standard CVT. Turbocharged Engine – Want even more power? 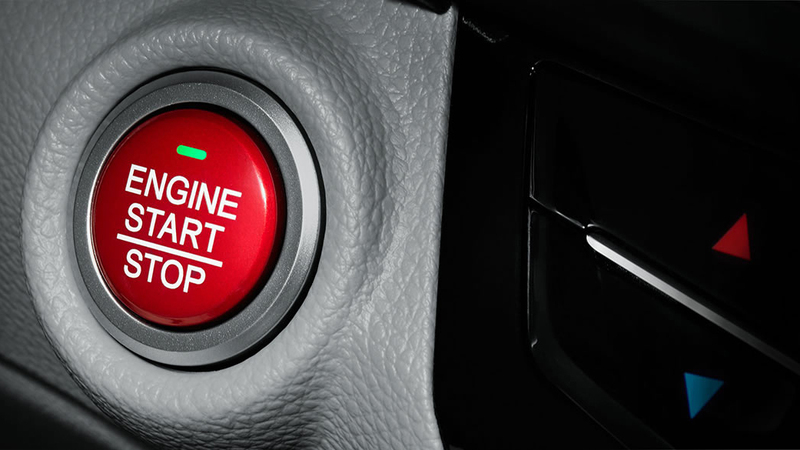 Choose the EX-T, EX-L, or Touring models and get the first turbocharged engine ever to be available on a Honda. It’s a 1.5L turbocharged engine that produces an impressive 174 hp and 162 lb-ft of torque. This engine works in tandem with a CVT to seamlessly move through the speeds and deliver a sturdy and fluid performance. Standard Features – Some standard features and equipment that you’ll find on the Honda Civic Sedan starting from the base LX trim include taillights with integrated LED light bars, cruise control, 12-volt power outlet, automatic climate control system, multi-angle rearview camera with guidelines, Bluetooth, speed-sensitive volume control, 5-inch color LCD screen, USB audio interface, and much more. 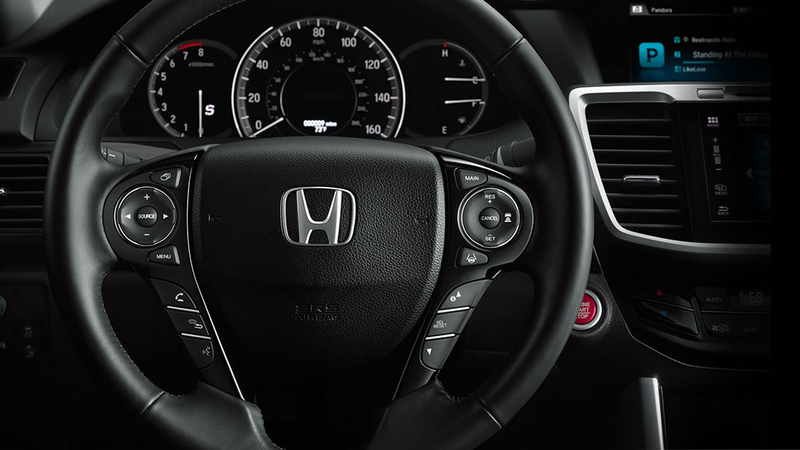 Upgraded and Available Features – Some key features that are available on the Honda Civic Sedan as you go up the trim levels include leather-wrapped steering wheel, dual-zone automatic climate control, Apple CarPlay / Google Android Auto, a 7-inch electrostatic touchscreen display, navigation system, and more. For drivers who love the Civic but need a vehicle that is a little bigger and more powerful, the 2017 Honda Accord provides drivers and passengers with just that. 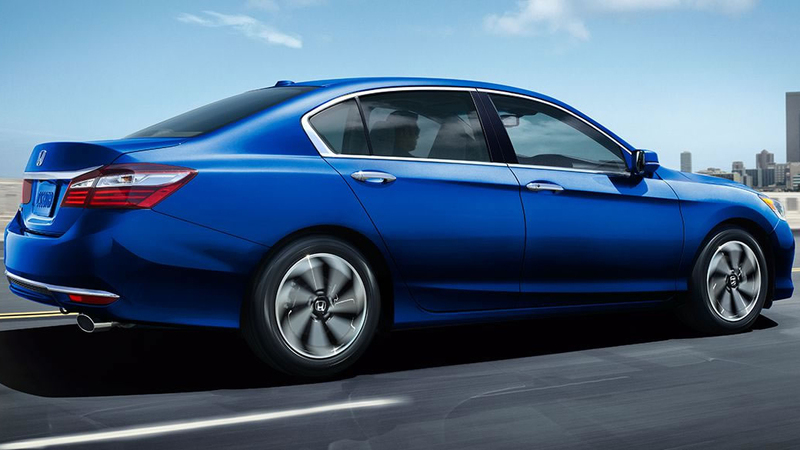 Also a five-passenger sedan, the Accord’s larger dimensions yield more head and legroom inside, more cargo space, and engines that are more robust, teeming with horsepower and overflowing with heart. Let’s take a look at an overview of some of what you can expect to find across all six trim levels of the 2017 Honda Accord before you get behind the wheel for a test drive. Under the Hood – Coming standard on the first five trim levels—the LX, Sport, Sport SE, EX, and EX-L—is a 2.4L 4-cylinder engine with direct injection. It produces 185 hp and 181 lb-ft of torque. Choose to pair it with a 6-speed manual transmission or with a continuously variable transmission (CVT) based on driving preference. Upgrade to a V6 – Available as an option on the EX-L trim and standard on the Touring trim is an upgraded 3.5L V6 engine. With this engine, you’ll get up to 278 hp and 252 lb-ft of torque. It is paired with a 6-speed automatic transmission with sport mode to seamlessly deliver its power to the wheels. Standard Features – Technology, convenience, and driving aids are all found inside the Honda Accord from the base LX model up to the Touring. Some features you’ll find as mainstays in the standard equipment list include a multi-angle rearview camera with guidelines, Bluetooth HandsFreeLink and streaming audio, daytime running lights, taillights with integrated LED light bars, dual-zone automatic climate control, cruise control, rear window defroster, two 12-volt power outlets, and more. Upgraded and Available Features – More features you’ll find as either available choices or as upgrades on the higher trim levels include push-button start, leather-wrapped steering wheel, heated side mirrors, lane keeping assist system, Forward Collision Warning, rain-sensing variable intermittent windshield wipers, and more. 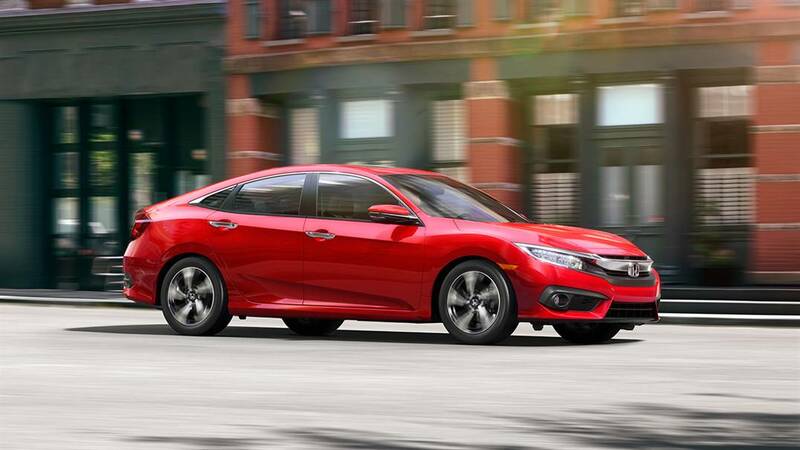 Whether the smaller, more fuel-efficient Civic is right for you, or the larger, more powerful Accord can better serve your needs, both sedans continue to be some of the top sedans on the road in the Mid-Missouri area and beyond. Visit a Mid-Missouri Honda Dealer near you to find out more about each of these impressive cars and take one or both for a test drive.